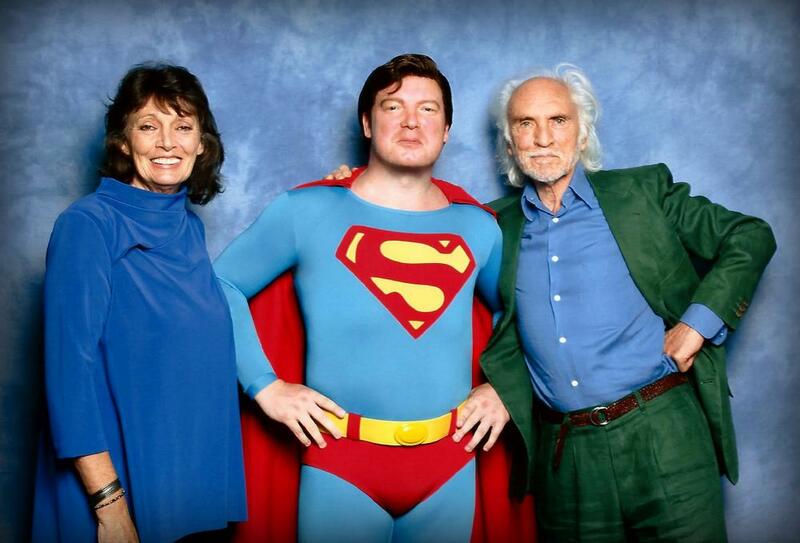 Last week’s London FIlm & Comic Con at the Olympia scored an unprecedented coup for fans of the classic Superman Movies by announcing the first ever reunion of all three villians from Superman I &II, and almost delivering. 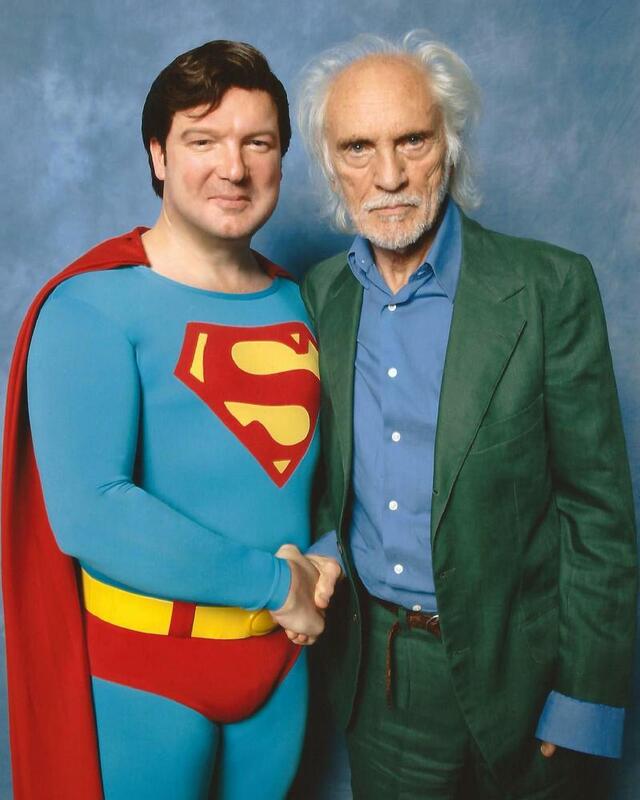 In a guest lineup that promised no less than Sarah Douglas, Jack O’Halloran and Margot Kidder, Showmasters had done what many thought was impossible and had managed to secure legendary British actor Terence Stamp for his Convention debut. Besides the obligatory autograph signing, the bill included a group photo session of all the Super-stars and a talk with Q&A. It was, in short, a once in a lifetime opportunity and of course, SUPERMANIA was there. Despite best laid plans, however, the show was dealt a series of blows in the form of guest cancellations right up to the last minute meaning the organisers could not fulfil their promises and were made to improvise in ways that unfortunately left many advance paying fans disappointed. First to go was Jack O’Halloran, who had to drop out for health reasons (get well soon big man!) and then in the irony of Ironies, poor Margot Kidder missed her flight and never made it to the UK. There was great relief on the Saturday as Terence and Sarah’s arrival was confirmed by a photo on social media so happily photo sessions and the talk would go ahead, but not exactly as intended. The group photo session (costing over £100 paid in advance) was cancelled in favour of a joint picture with Terry and Sarah (third pic) which would’ve been a great alternative had it been organised and promoted correctly. Instead, fans that had bought group photos were turned away with a promise of a refund and could only purchase a ticket for the double pic there and then for £70 in cash only. 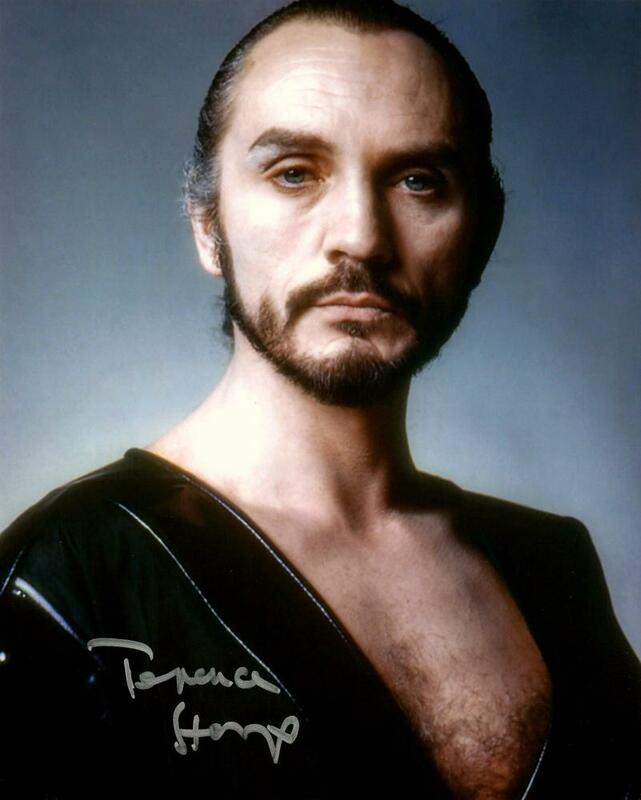 This outrageous action was followed up with a poor queuing system that meant anybody without a Diamond Pass (Over £200) had little chance of obtaining Terence Stamp’s coveted autograph. In fact, the show was evidently massively over-subscribed and it was everything one could do to bounce from location to location to obtain what you had, in most cases, already paid for. 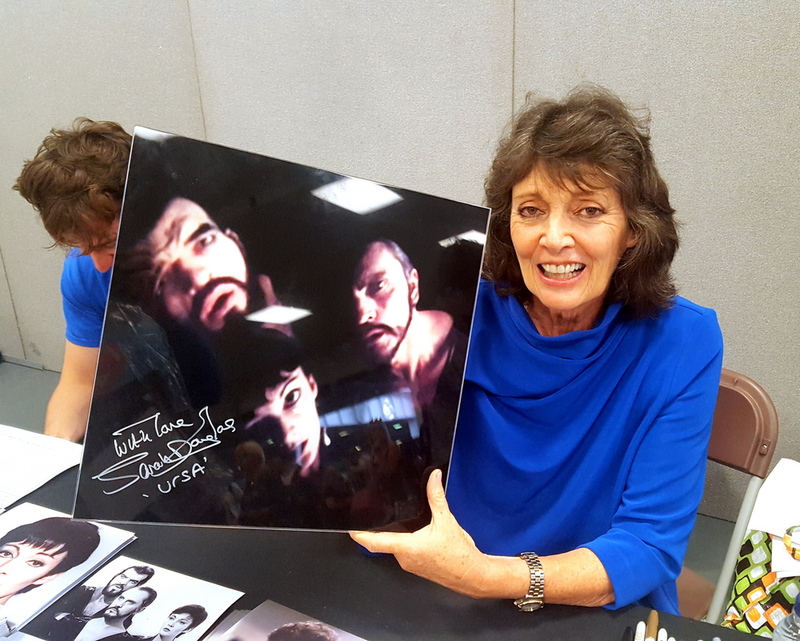 This, and the excessive crowds did not make for a pleasurable experience and were it not for the class act that is Ms.Douglas (bottom pic signing a replica of the Phantom Zone) being the standard by which all other con guests should be judged, it would’ve been worse. So thank goodness for Mr. Stamp, who maintained an unflappable aura for the entire proceeding. Softly spoken and gentile, his iconic intense gaze was as sharp as ever now found under a shock of white hair. This was what hit me first as I approached for my photo wearing the Superman costume (top pic) as he glared at me up and down, it seemed to me, completely in character! Drawing up next to him whilst feeling a combination of awe and dread, he extended his hand to shake mine and whispered, ‘Hello, lovely to meet you thanks, for coming’. Now, as you can imagine, for a fan of the Superman series since childhood this was a powerful significant moment. The General, it turns out, is a total gentleman and if you ever get the chance, as many people did that day, I can’t recommend meeting him highly enough. There was still one hurdle to overcome before the day could end and that was obtaining Terence’ autograph. During the day I’d been so gratified that many Super-fans had come up to me to say hello and compliment me on the costume and for the first time at a con a had real sense of community – it was great to put names to faces including Mark Cookson, Filip Biesmans and Graham Holden. One fan, it would turn out, would turn out to be the biggest hero of all as it looked like we weren’t going to get the much-coveted autograph after all. A serious contender for No.1 Superfan in the UK, Andrew Hanton was already in the queue for Terence and saved the day by getting a photo signed on my behalf (second pic) made all the more significant by way of his alternate signature (where you can actually make out his name). Quite why he elected to do this rather than the standard two lines is a mystery but I was overjoyed with the result and it is now a key piece in the SUPERMANIA collection.